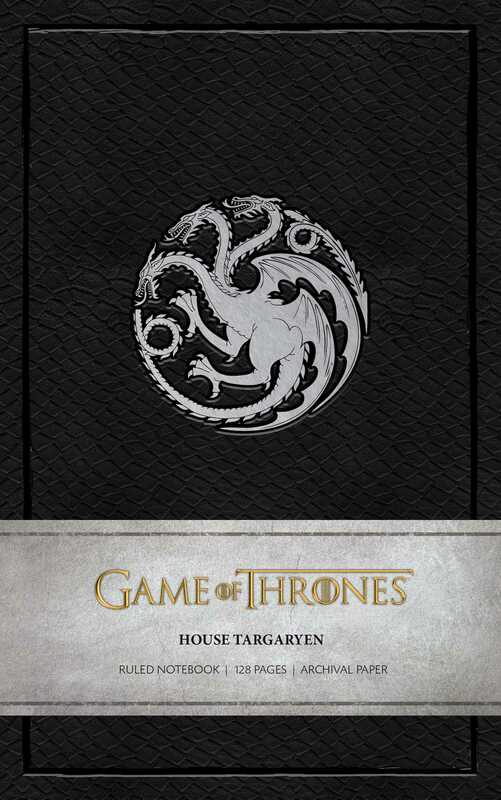 Celebrate House Targaryen from HBO’s smash hit television series Game of Thrones with this artfully designed ruled notebook. House Targaryen is an ancient and powerful family recently unseated from its long-held position on the Iron Throne. Capable of beneficence, yet merciless when crossed, House Targaryen has a reputation for laying fiery waste to those who oppose their dominance of the Seven Kingdoms. This beautifully crafted ruled notebook features the Targaryens’ sigil: The mighty dragon, symbolizing the deadly power of the Targaryen family.